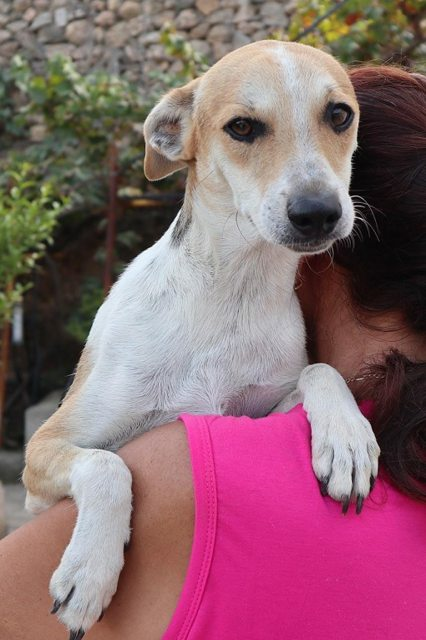 Toby is a 10 month old male Ibizan Hound (Podenco) Cross. Handsome young Toby is a cute tan, black and white young dog with sweet nature! Toby has a short silky coat and he will be a medium sized dog. 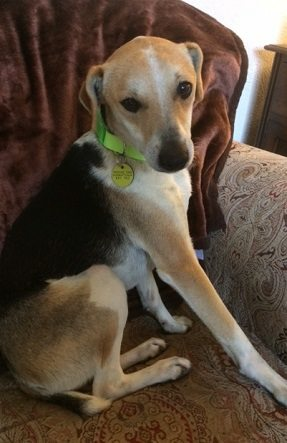 Toby is very, very nice, affectionate and lovely boy, he is still a little bit shy and scared in new situations but his confidence is growing now he is in the UK in a foster home with other dogs. Toby is clean in the home, absolutely good and friendly with other dogs, he appears to be subservient – just fitting in with other dogs and following their lead. He is completely healthy. 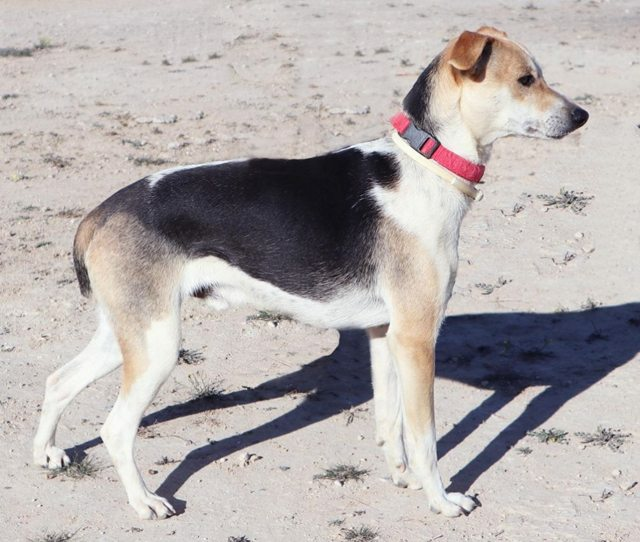 Toby was rescued in Spain with his brother Cookie. Foster Report: Very, very affectionate, gentle and tender! We love him! He loves his walks and is good in the car, good in the vets, no problem. Adopting A DogWatch UK Rescue Dog: Before being adopted, dogs will have bee vaccinated, wormed and treated for fleas. If old enough they will have been neutered, if too young the new owners will need to ensure this is done. All dogs are microchipped. All new owners can apply for 4 weeks Pet Insurance FREE, to be activated from the link on our website. 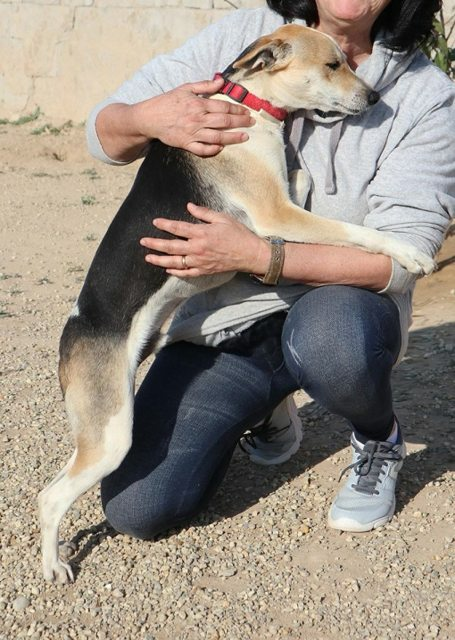 For Rescue Dogs coming from overseas: This adoption fee is a contribution towards the costs of rescuing the dog including – microchip, pet passport, vaccines, tests for South European diseases, neutering (IF OLD ENOUGH), parasite treatment and transport to the UK. We can not home dogs from overseas to people who work full time or long hours, unless some sort of doggy day care is offered. They need someone at home a lot of the day, they are not used to being alone for long periods. A dog walker for an hour out of the day is not enough. To apply to adopt please fill in our adoption application.